Despite Africa’s impressive economic growth, it’s clear from the way people talk about and do business on the continent that views of Africa have not changed dramatically in the past 20 years. Some views are excessively positive, others overly negative. Both are equally harmful. We – that being me, my husband Matt and our friend Ishtar Lakhani – think it’s high time that changed. And so an idea was born – to do something to make people see Africa differently. Having lived in three African countries – Ghana, Kenya and South Africa – and traveled or worked in another 20 between us, we learnt the hard way how narrow our view of the continent was. We now know that different size and colour condoms are required in even neighbouring countries. We know that a marketing campaign that was successful in one country can fail in another simply because the model wasn’t wearing shoes, and in that country only prostitutes don’t wear shoes. We’ve learnt that differences go deeper than belief systems and languages, and similarities are not neatly contained within the arbitrary lines on maps. The treasure chest of cultures that exists on the continent requires more understanding and respect. But what would be the best way to share these lessons? The most obvious way would be to illustrate that Africa is a continent of 54 diverse countries and to show as many countries as possible in as much detail as possible. We believe achieving this could be as simple as getting in a car and driving as far as time and money would allow. This would give us access to some of the many unsung, self-funded projects that sustain thousands of people each day, allow us to learn about some of the cutting-edge technology that is helping to push the continent forward and, best of all, meet lots and lots of people. It’s these details that we believe could help all of us see Africa differently. So that’s what we’re going to do: three friends, 24 countries, 165 days and 30 901km. From the 5 October 2013 Ishtar Lakhani, Matt Angus-Hammond and I will be driving from Tsitsikamma in South Africa to Tataouine in Tunisia, via the southernmost and northernmost points of the continent with detours to the east and west coasts. Along the way we will share as many pictures and stories as we can of the things we will see and learn, whether it be the story of a start-up entrepreneur, a trail blazing eco-tourism initiative or an incredible human being whose name we should all know. We’ll send updates via Twitter, our Facebook page, website, a weekly blog here on the Mail & Guardian’s Voices of Africa site and through as many other channels as we can along the way. We also hope that our journey will make a difference to the people we meet along the way. One of our team is doing a master’s degree in food security and the other two have been part of a successful food garden in Orlando West, Soweto for eight years, so it made sense to take advantage of this experience. So in addition to our #seeAfricadifferently campaign we will be planting 45 food gardens – an average of two per country – en route. The seeds and water-carrying equipment for this initiative will be purchased with R61 050 raised via Thundafund, Africa’s first crowd-funding platform, over a 60 day period. Volunteers are being sourced via social media and experts all over the continent are generously giving us their time to make sure this has the best chance of succeeding. We know the gardens won’t all survive and that if we go back in two years some may no longer exist. But we also know that with the right people involved, within five years a single garden could be feeding an entire school of 60 staff and children daily. Tracy Angus-Hammond is a disabilities activist and social researcher with a passion for convincing others to see Africa differently. She volunteers at Nkanyezi and occasionally contributes to Africa: The Good News. She is also the owner and manager of a research consultancy, Angus Hammond Africa. Tracy has lived, traveled worked in more than 20 countries in Africa. Follow her on Twitter or visit the T2T website for more details on the trip. A pair of second-hand, suede, black, six-inch boots arranged on the pavement catches her eye as she walks to the nearby bus stop carrying her mid-month household shopping from the Tusky’s supermarket a few meters away. In the shopping bag she has a packet of baking flour, a kilogram of sugar, four packets of milk and four toilet rolls. She pauses to admire the shoes and the man, sensing an opportunity to make a sale, leaps up to serve her. “Ni size gani? [What size is it? ]” she asks. “Forty shillings,” the street hawker responds. “Kujaribu ni bure [Trying it on is free],” he says. Before she can resist the hawker has reached out to help. He puts her shopping bags in a safe place and helps her put on the boots she has been admiring. It is a perfect fit. “Ni how much?” she asks as she walks a few paces to get a feel for the shoes. “What? That’s so much,” she retorts. “Bei ni ya kuongea [The price is negotiable],” the hawker replies. The haggling goes on for a while and she finally settles for a price that she can manage. This woman is a reflection of others in Nairobi who rely on second-hand clothing and shoes to ensure they look good despite the harsh economic times. The escalating price of commodities is straining the life of the average Kenyan, especially those living in the city, who are already struggling to survive. Kenya’s GDP growth rate stood at 5.2% during the first quarter of 2013 and the unemployment rate in the country stands at an estimated 40%. The cost of living has also greatly increased. A litre of milk today costs about 90 shillings ($1). Ten years ago the same litre of milk cost about 50 shillings. Mortgages, car loans and food budgets are increasing and many are left with the bare minimum from their monthly salary to cater for expenses, like buying clothes and shoes, that are expected to go with one’s social image. But at the thriving second-hand businesses, located in open-air markets and small stalls in town, one can haggle over the price of anything, from shoes and clothes of all types to undergarments and bags. The hawkers that sell these items stay open up much later than regular clothing shops. The more adventurous hawkers are known to come to the downtown streets of Nairobi with their wares at night, when the regular businesses have closed and the nightlife is just beginning. This presents an opportunity for those who work late and do not have an opportunity to shop during the day. It also targets people who did not think they had a budget for clothes or those who suddenly find themselves desperately in need of an item of clothing. I myself have benefitted from the convenience of a roadside hawker. On one occasion my supervisor sent me to a meeting across town. City traffic in Nairobi can turn a 10-minute walk into a half-hour commute by car, so taking a taxi would not have made sense. Instead I opted to walk there in my impractical high heels. That evening, as I was making the painful 30-minute walk to the bus stop, leaning heavily against a colleague, I came across a hawker selling shoes on the pavement. There was only one pair of sandals among the many closed shoes and high heels on offer. Without waiting for the hawker to offer to help, I picked up my heels, asked him to pack them into a paper bag for me and slipped my feet into the sandals. I did not waste time haggling, as I desperately needed the sandals. 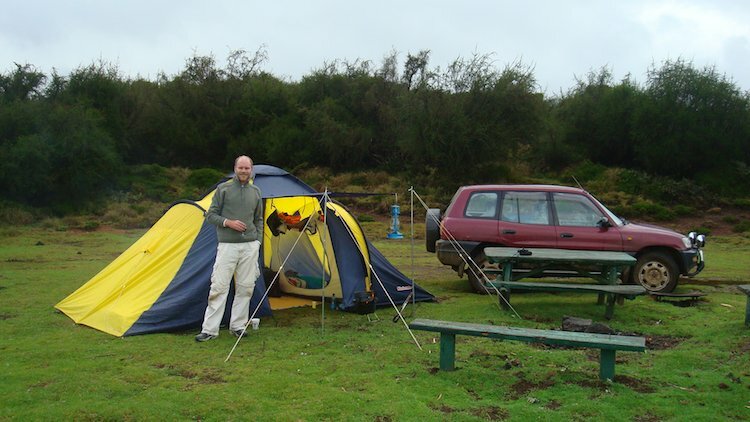 But they were so cheap that I didn’t feel cheated – they cost just 250 shillings ($3). Second-hand clothes and shoes have been a boon to Kenyan women looking for clothing at an affordable price. Retail shops charge high prices. A blouse at Mr Price, considered to be an upmarket shop in Kenya, may cost up to 2 000 shillings ($24). The same blouse could be had second-hand for 800 shillings ($9). If one is really good at haggling, the prices could be as low as 600 shillings ($7). Some savvy shoppers have even found ways to capitalise on the demand for second-hand clothing. Twenty-something Akisa Mathenge has made a business out of second-hand clothes shopping. Her unique selection of the clothes from second-hand stalls has many people asking if she could be their personal stylist and buy them second-hand clothes for wear at the office, church or home. “I really enjoy dressing people up. When I find a client who wants me to buy them second-hand clothes, my first question is always to find out what they like wearing. I also suggest changes to their wardrobe to style them up. When I see a customer happy then I feel fulfilled,” Mathenge adds. Her service includes bringing the range of clothing that she’s selected, carried in large bags, to her clients homes. But this has become more difficult as her business has expanded. With business picking up, she’s now considering getting her own stall so she can stock more clothes. Even though her paycheck does not always come on the expected day, she is able to meet all her expenses through this side business. 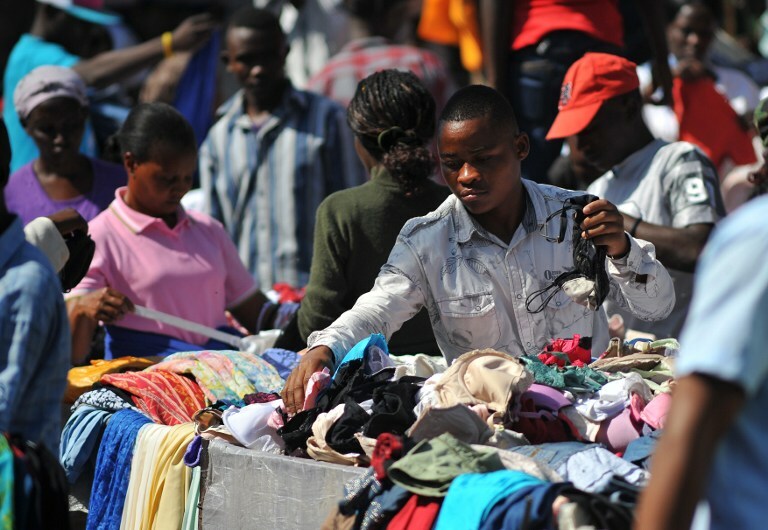 As luxury goods like clothes and shoes becoming more expensive for ordinary Kenyans, the second-hand clothing business is set to thrive for a long time to come. Mary Itumbi is a journalist based in Nairobi. A misty dawn has not yet given way to daylight in Zimbabwe’s eastern highlands. Lenard Moyo, a coffee farmer near Chipinge town, is prising red arabica beans out of their trees and putting them in his bag – as he does every morning during harvest season. “It’s hard when it’s so cold outside, but we have to pick them early,” he said. Zimbabwe’s coffee belt has the perfect growing conditions for the beans: high mountain peaks and cool climates, and the country used to be famous for its “super-high-quality” product, slowly sun-dried, and tasting smooth and fruity. In the 1990s it produced some of the best coffee in the world, alongside South America and Kenya, generating crucial foreign currency and a livelihood for many labourers and small-scale farmers, as well as the big commercial farms. But today the industry is in decline: many of the mills have been abandoned, farmers are in debt, and Zimbabwe produces just 60 “bags” of coffee beans a year compared with 250 bags in 1988 – with one bag amounting to 60 tonnes of coffee. Earlier this year the European Union announced €10m (R132-million) in aid to Zimbabwe’s medium and small-scale farmers, in an attempt to revive the industry. But there’s a catch. 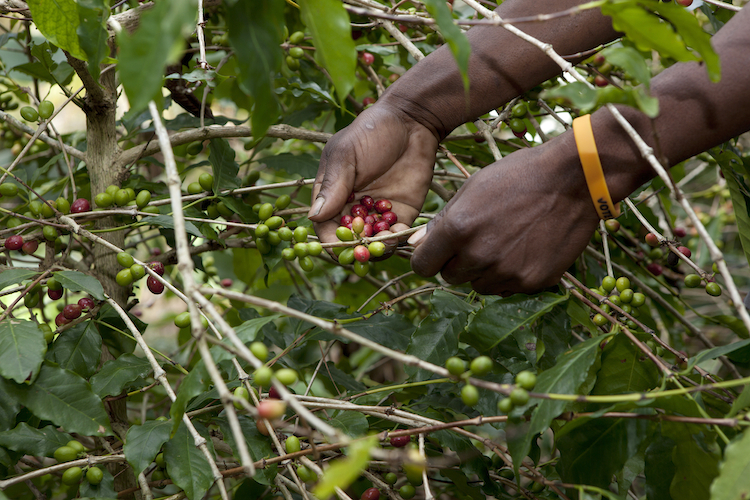 “Coffee is an important crop and we’ll consider funding requests from small farmers provided the land involved is not in dispute,” Aldo Dell’Ariccia, head of the EU delegation to Zimbabwe, told the CAJ news agency. Moyo said this caveat disqualified the majority of farmers. “Most of our small coffee plots are on land being contested in court by former white farmers. We’ll simply not qualify,” he said. The disputes began in 2000, when young militants loyal to the president, Robert Mugabe, stormed white-owned farms to reclaim the land. At the time, Moyo was what was known as an “out-grower” – a black farmer owning a small plot of land next to a large commercial farm, relying on his neighbours for finance, expertise and machinery. Production plummeted as the new landowners could not secure bank loans to buy fertilisers or repair ageing infrastructure. Many were new to the business, and lacked the expertise to keep quality high. In turn, international buyers began to shun Zimbabwean coffee, and in 2010 the Mutare Coffee Mill, considered one of the best in Africa, was forced to shut down. It required at least 4 000 tonnes of coffee to operate profitably but was receiving just 300. And while Zimbabwean coffee growers struggle, elsewhere the industry is booming. Ten years ago the average cost of a tonne of coffee was $1 400, now it can fetch up to $4,000 (R39 400), according to the International Coffee Organisation. “Zimbabwe is losing billions of dollars annually as the price of coffee has increased to about $3 per pound, up from $1 per pound in the 90s,” Gifford Trevor, president of Zimbabwe’s Coffee Growers Association, told News24. Most of the country’s coffee farmers lack cash reserves to support themselves when the crop fails or yields are low, according to World Vision. The charity is training farmers and offering much-needed supplies such as fertilisers, irrigation systems and pesticides. But the farmers are still unable to compete with better organised growers in countries such as Rwanda, Kenya and Malawi. The global coffee industry is also stacked against suppliers, with the bulk of the profit going to those further up the chain. In August, on a sponsored trip to Johannesburg, 39-year-old Moyo tasted his first cappuccino. “I thought it was bitter lemon,” he said. He was particularly horrified to pay $3 for one cup, compared with the $5.30 he receives for a bag of raw coffee beans. Peter Multz, a former consultant for the Dutch charity SNV, which works with Zimbabwean farmers to improve their business skills, said most of the profit went to shippers, roasters and retailers. He said Zimbabwean farmers also faced particular problems. “Sometimes the coffee is delayed at border crossings for up to a week, and without proper facilities the beans go bad. Sometimes buyers have to pay a bribe to let their coffee shipments go through,” he said. Ray Mhondera for the Guardian Africa Network. Mhondera is editor of The Africa Scientist Magazine. We Kenyans are always in a rush. Life in this country is an unending quest to make that extra coin or stretch the available one in our booming economy. Consider the situation three years ago when Kenyans were constrained by the rising global prices of fuel and maize, the national staple food. The price of maize flour squeezed hard at the already empty pockets of slum dwellers, who responded in the popular Unga revolution street protests. While urging the government to reduce the price of maize flour from a high of 120 Kenyan shillings (around R12) to 30 shillings (R3), slum dwellers invented the “kadogo“ – or small – economy to stretch their fast-depleting resources. Not only could they now afford three square meals on less than a dollar a day, but the country’s manufacturing industry followed suit. In the kadogo economy you get to eat according to the amount of money you have. With one rand, you can slurp on steaming bone soup and a mound of ugali, a cake made of corn. A dish of sardines costs nine shillings (50c) and for the same amount one can afford cooking fat. A spoon of sugar costs a shilling (11c), tea leaves are doled out in ever smaller packs for the same amount. Margarine, detergents, soaps, and candles, are halved and quartered to ever smaller amounts that range from a few grams to a hundred grams. “Fifty bob” – 50 shillings or about R5 – would be enough for three square meals a day. Manufacturers have taken note of the kadogo economy and these days even shops in middle class neighborhoods stock products in medium, large, and tiny packs. Kenyans also noticed that sending money to friends and relatives using Western Union, MoneyGram, and the national postal service was costly. We skirted around this problem and bought phone credit instead, then sent it to the receiver who would convert the credit into cash from the nearest shopkeeper, who earned a small commission. 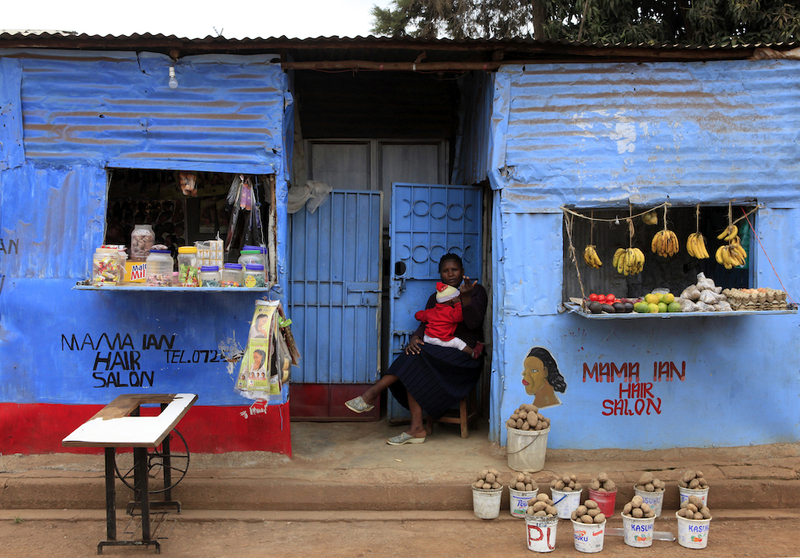 It’s how the world’s first and most successful mobile money transfer system, Mpesa, was born. Every year billions of dollars are exchanged on the platform. Judging by the numerous civil servant salary strikes, we have landed on the hard times yet again. In a country blessed with entrepreneurial zeal and ingenuity it came as a surprise when the government last month arrested five officials of a group that had found a solution to its neighborhood’s economic woes. The destitute residents of the sprawling Bangladesh slum near the coastal resort of Mombasa, a place where jobs are scarce and the Kenyan shilling is uncommon, introduced Bangla-Pesa (“Bangla-money”) as an alternative currency. Bangla-Pesa is a voucher or promissory note, which can be exchanged for cash or services at a later date. The system has been seen as an effort to strengthen the economy of the informal settlement. For instance, a bicycle operator may have the capacity for 20 customers a day, but in general only has 10. He can give rides to other people in exchange for Bangla-Pesa, which he can trade for goods or services – like tomatoes or a haircut – that another Bangla-Pesa vendor may offer. This increases the overall efficiency of the market and helps the community during tough economic times. Some 200 businesses have agreed to accept the currency, and in return, each has been awarded a credit of 400 Bangla-Pesa. These credits circulate among registered members only. 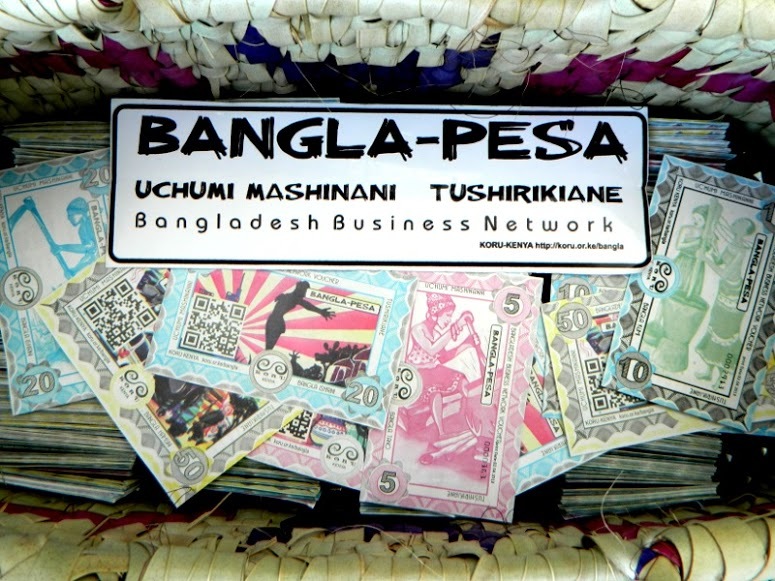 Bangla-Pesa charges no interest on transactions and its membership comprises 75% women, who live below the poverty line and run their own small businesses. Participating businesses include laundries, tailors, builders, salons, and people providing mechanical, electronic repairs and farming services. In June, six members of the initiative found themselves guests of the state, and were held in police cells for three days. They were initially jailed on suspicion of being members of a secessionist group. When this was found not to be the case they were charged by the Central Bank of Kenya with forgery for holding a printed voucher. The penalty? A possible seven years in jail. In fact no one has ever been arrested for using Bangla-Pesa’s predecessor, Eco-Pesa, which was formed in Kongowea in 2010, to help clean up trash in the crammed settlement whose dense population lacks the infrastructure to dispose of trash and sewage. Local youths were paid five Eco-Pesa for each trash bag they filled and deposited at the nearest landfill. They then spent this cash at local businesses to buy goods and services from other local sellers or exchanged it for shillings. After three months of using Eco-Pesa, the monthly income of businesses in Kongowea rose by 22%, and the settlement rid itself of 20 tonnes of trash. Now tongues are wagging among Nairobi’s chattering class that the financial institutions are leaning heavily on the government to come down hard on the Bangla-Pesa founders and members because they fear the alternative currency may appeal to the masses who are daily looking for a way to escape the excruciating high interest rates charged by banks. In August, the director of public prosecutions dropped all charges against the Bangla-Pesa group members on the basis that they have not broken any Kenyan laws. They are currently waiting for the Central Bank to release their confiscated vouchers and for the government to officially recognise the programme. In the meanwhile, the 12 000 inhabitants of the Bangladesh slum will have to continue hustling, hoping for an opportunity to make an extra coin or to stretch the ones they have. Munene Kilongi is a freelance writer and videographer. He blogs at The Peculiar Penguin. Crabs scuttle among mangrove roots in a dense riverbank forest in southern Senegal, where a major reforestation project is reviving wildlife and boosting the west African country’s lukewarm economy. “Everything you see here has been replanted. 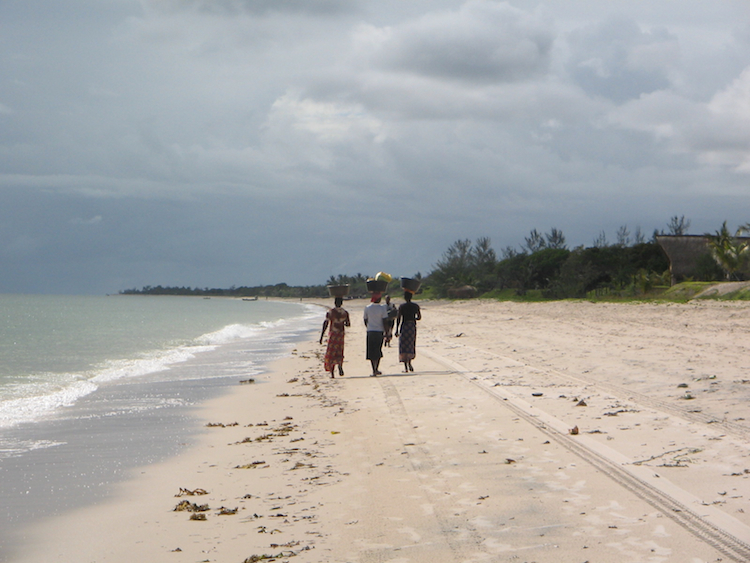 Before 2006, there wasn’t a single tree,” said Senegalese environmental activist and government minister Haidar El Ali in Tobor, a village near Ziguinchor, the main city of the Casamance region. He gestured toward mangroves tied to stilts bordering the Casamance river, planted by his Oceanium environmental organisation to boost an area that experts said was severely depleted by deforestation, drought and increased salt levels in the water. Alongside the road leading to the neighbouring Marsassoum valley, and around the paddy fields used in the centuries-old activity of rice cultivation, various mangrove species are abundant. The habitat was destroyed through decades of illegal logging in mangrove forests for firewood and building. “There has been nothing here since the 1960s and 70s. Replanting is bringing back the mangrove,” said Simeon Diatta, the chief of Diakene Diole village near the Guinea-Bissau border, pointing at riverside vegetation. Since 2006, reforestation has revived 12 000 hectares (30 000 acres) of mangrove in Senegal – an area larger than the city of Paris – mainly in Casamance but also in the north and centre of the country, according to official figures. “I am struck by the extraordinary success that this initiative represents,” French Development Minister Pascal Canfin said on a recent visit to Casamance, descriving the programme as “model for Senegal, Africa and the world”. “With the return of the mangrove, people are catching a lot of fish and oysters. Women are selling them on and making a lot of money,” Diakene Diola resident Simeon Diatta told AFP. The mangrove, which thrives in salt water, is important for trade in forestry and fishery products. The swamps provide a nursery area for many marine species, most of which are important for food such as fish, crabs and shrimp. In the nearby village of Diakene Ouolof, resident Mariama Tine said “everything was dead” before the replanting programme began. “The mangroves stopped the advance of salt and we were able to recover rice fields. There were no fish here before but we are starting to get a lot of them, along with oysters and ark clams,” she said. Tobor mangrove farmer Mamadou Faye Badji says the ecosystem created by the tree is also vital in the worship rituals of the region’s indigenous people. “The totems of the Diola are all in the forest. If forests are not dense enough, they will not stay here,” he told AFP, while Fisheries Minister Haidar El Ali said the mangrove had become part of the cultural heritage of the region’s villagers. The damage done to mangrove swamps by deforestation remains “enormous”, however, and the battle is far from won, according to an environment ministry official. Senegal’s economy is concentrated on fishing, tourism and groundnut production, with limited mineral resources and a narrow export base. While the country has a long history of stability, its growth is below average on the continent and the reforestation is expected to contribute to an improvement. Yet the project is not without controversy, with some believing the mangrove tree’s abundance is detrimental to the production of rice, since paddy areas are increasingly making way for mangrove swamps. 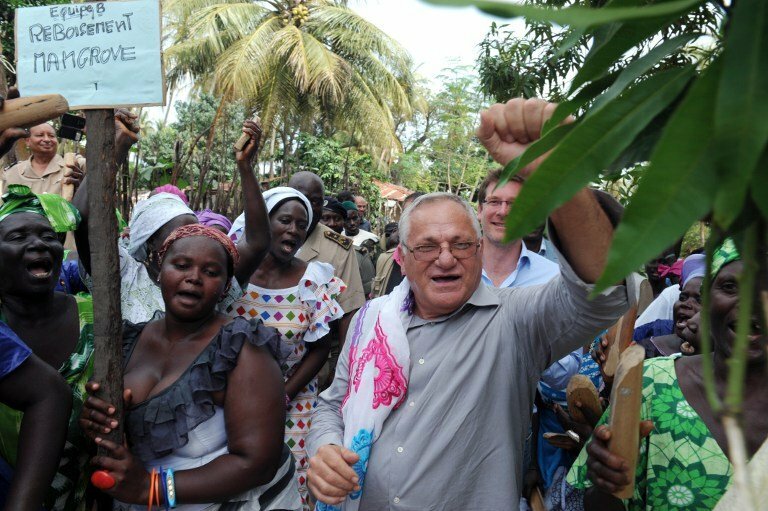 Lecturer Pape Cherif Bertrand Bassene mused in a recent column for the Quotidien daily newspaper that locals in Casamance, rather than welcoming the reforestation workers, should be decrying their “ignorance of tradition which results in a policy that does violence to this rice-growing culture”. Bassene said reforestation had led to the “unavoidable consequence of divorcing the Casamance youth from their traditional rice-growing roots” and had reestablished mangrove swamps that local people “have always cut down to turn them into rice fields”.